Herbal agents are used on a daily basis by many. Risks to the kidney have been identified with some of these agents. 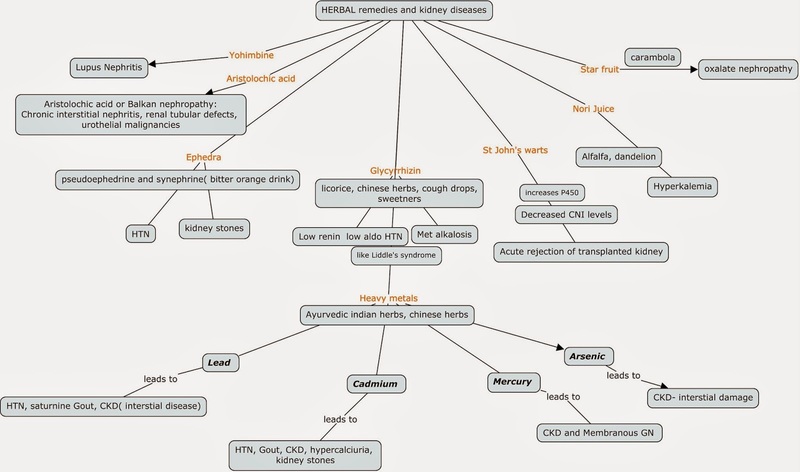 Here is a brief concept map of few of the agents have had strong associations with CKD, glomerular disease and electrolyte disorders. Dr Warren Kupin from Miami recently spoke to us about these and I summarize these from his discussion to us. NKF has a summary as well on this concept. V Jha has a nice review as well. Click on image below for larger view of the concept map.